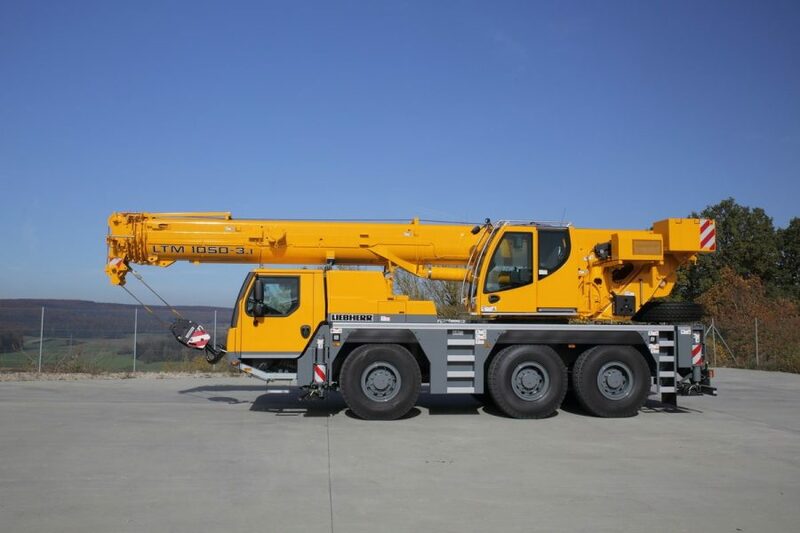 The 60-ton Liebherr Crane boasts a long boom at 48 m complemented by a small footprint for easier maneuverability on the road. 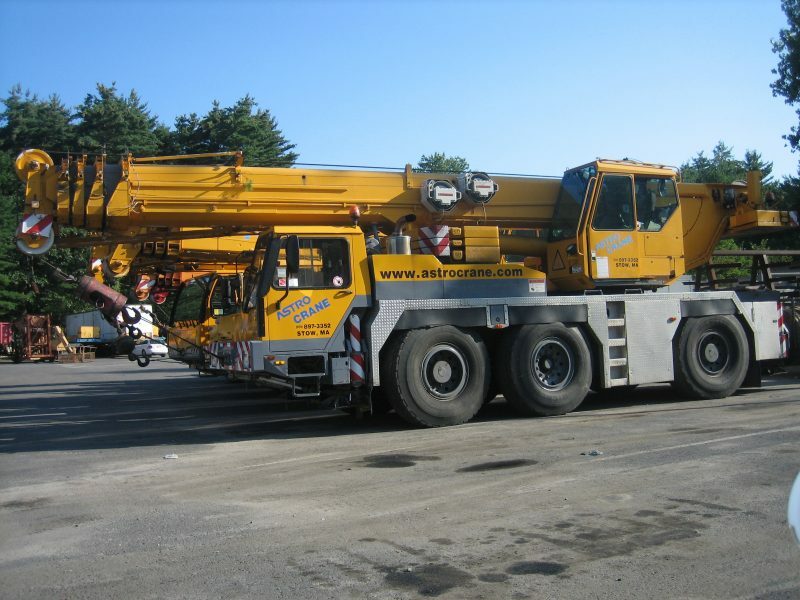 This three-axle crane can handle a maximum load of 60 tons and has a 180-ft maximum tip height. 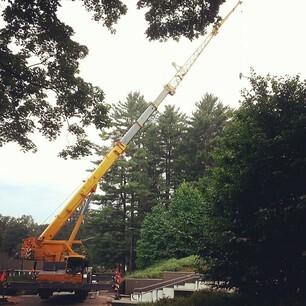 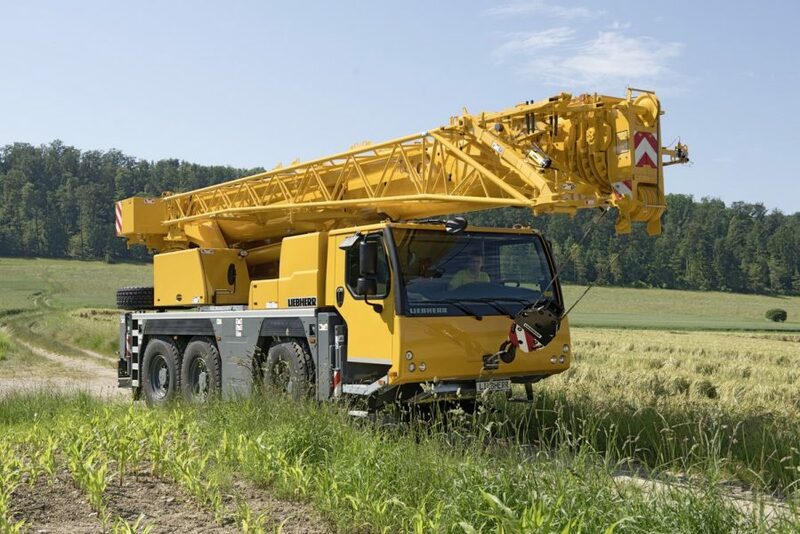 The crane’s durable body is constructed from welded high-tensile structural steel and a 6-cylinder diesel engine. 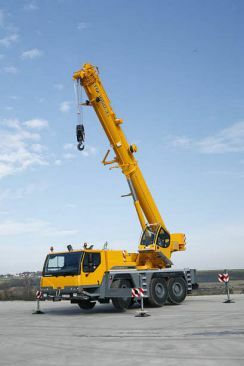 In addition, this mobile crane has a 52-ft offsetable jib, large field of vision, corrosion-resistant glazing, diesel hydraulic, and numerous safety features.